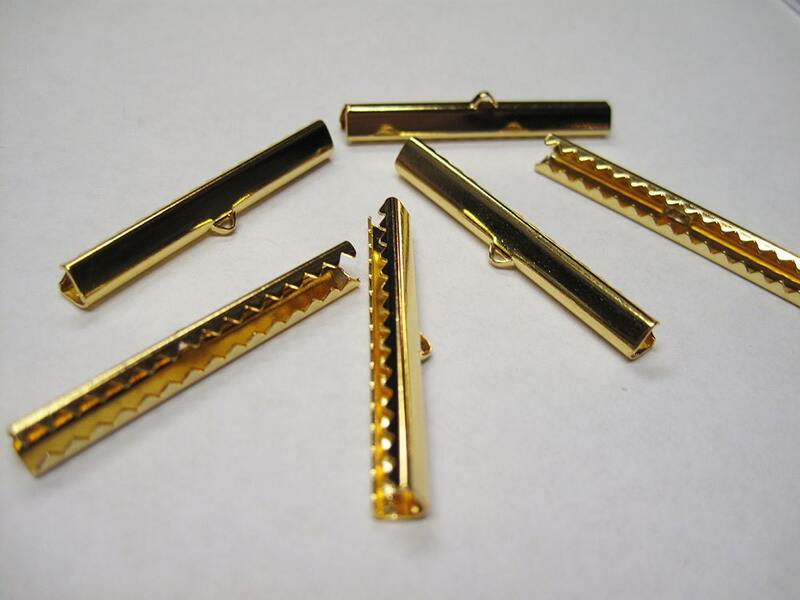 Gold plated brass ribbon clamp clasps also known as cord or crimp end clasps with a smooth finish. These have a top ring where you can attach a clasp or jump ring and a long row of prongs that clamp easily on hemp, leather or ribbon. These can also be used successfully on loom work as the end clasp - I use these myself. You will receive 6 cord ends (3 sets) measuring 40mm. 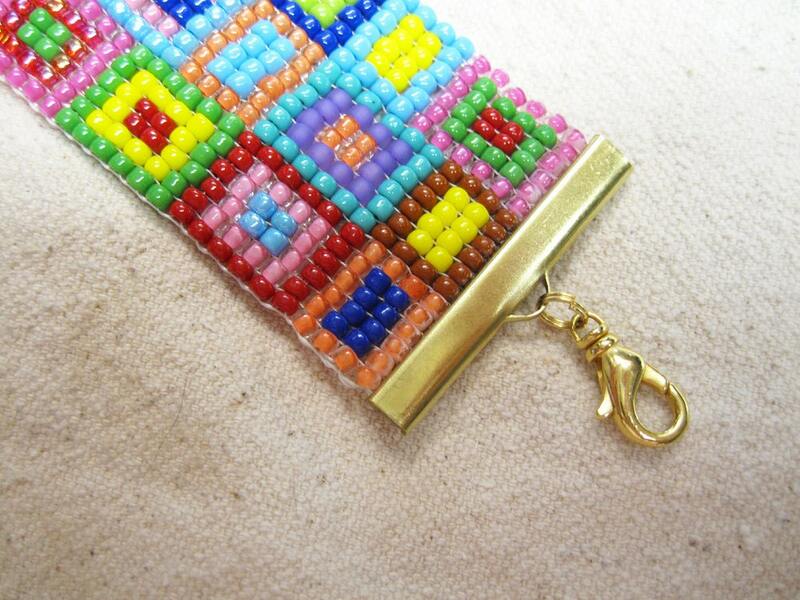 The second picture shows how these clasps look on a finished loom bracelet, using size 8/0 seed beads. They can be used with smaller seed beads as well. Bracelet is not for sale. Perfect, its just what I was looking for! My mom asked me to buy them to finish up her bracelet. They were exactly what she wanted and shipped relatively on time. Great 40mm Ribbon crimp clamps which are hard to find.